There are a good numbers of brass plates lining the internal walls of this Church which were originally screwed to the gravestones in the Churchyard, they are dark with corrosion and difficult to read and photograph but another attempt will be made to take some readable photo's in April 2012. 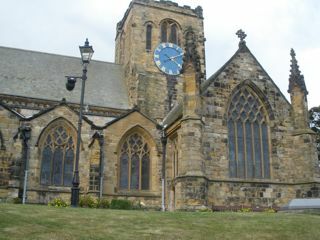 A transcription of all memorials in this Church and a lot that are now missing can be obtained from East Yorks F.H. Soc. The GPR holds 49 grave and 131 person records for the burial ground. There have been 40 requests for photographs from the burial ground.